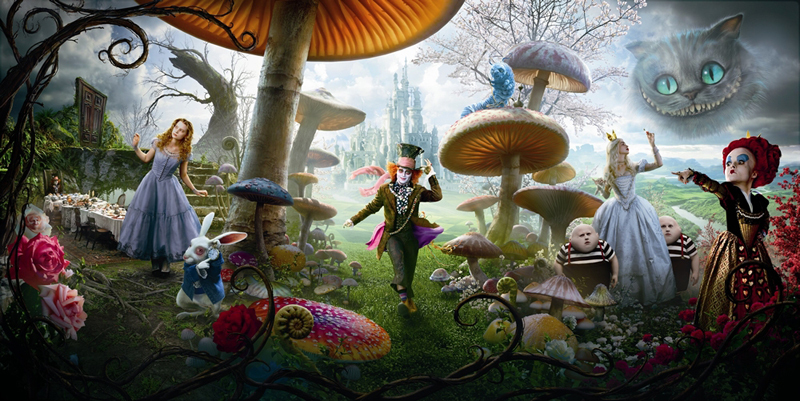 On March 5, Tim Burton‘s new off-the-wall CGI epic, Alice In Wonderland, opens on 3-D screens across the country. Disney has put a lot of marketing muscle behind the pic and has its hopes set high for box office glory. The only problem is that James Cameron‘s Avatar is still performing astonishingly well, thanks mainly to 3-D ticket sales. These premium tickets actually cost about $5 more than those for “normal” films and they account for over 70% of Avatar‘s ticket sales. If Cameron and 20th Century Fox, the producing studio, had their way, their nine times Oscar nominated actioner would never leave the Imax theaters. In my opinion, Avatar is finished when Alice takes over. I can’t imagine that audiences will be flocking to see the special effects epic on 2-D screens. It’ll seem so, oh, flat. That also says a lot about Avatar‘s power as film in and of itself. Without the visual enhancement, all you get is cheesy dialogue and some pretty canvases — and not much meat. There Will Be Blood it is not. As audiences experience more 3-D movies, scheduling challenges for theater owners and studios will naturally increase while there is a temporary shortfall of 3-D screens. I can almost hear Cameron’s groans as he reads that. The interesting thing about 3-D releases is that there are so few screens that, no matter how well a film performs, it will have to be booted out eventually. Alice will get is own comeuppance when Dreamworks’ How to Train Your Dragon hits theaters March 26. And that will be booted out a mere week later when Warner Bros.’ last minute 3-D conversion, Clash of the Titans, arrives. 3-D is a throne that will have to be shared for the time being (something that studios hate doing). The lesson in all of this is simple: if you’re making a film in 3-D, then make it will hold up in 2-D as well so that it can survive sans glasses.